Summer turning into fall means kids going back to school, family schedules becoming more hectic, and family budgets preparing for increased energy bills. One other thing ushered in by fall is the increasing need to complete home maintenance tasks to avoid costly repairs. A little bit of time and money spent during fall saves families a ton of time and money later when necessary systems fail because they were not maintained properly. We share the best ways for you to approach end-of-summer home maintenance to avoid costly repairs below. 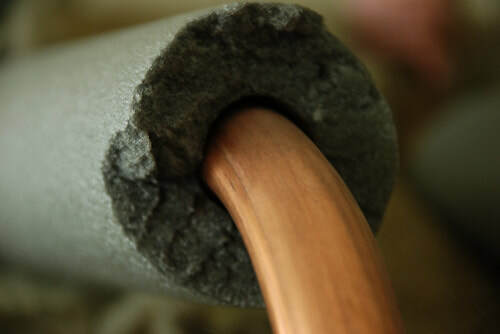 As the weather turns cooler, families that do not take steps to prevent frozen pipes are at risk of losing hot water and experiencing water damage. Be proactive and prevent expensive damage and potential flooding by keeping your basement at least 55 degrees Fahrenheit during cold snaps. It’s also important to keep unused portions of your home at that temperature, at least, to prevent frozen pipes. During a cold snap, keep your interior doors and cabinet doors open so heat from the house can circulate and keep the pipes warm. If you think a pipe will freeze, allow the faucet to drip to prevent pressure from building and bursting it. You also should inspect the areas around your pipes and apply caulk to holes and cracks near them on both interior and exterior walls. Consider applying electrical heating tape to pipes, but be sure to carefully follow the instructions to keep your home and family safe. Another option is insulating pipes to prevent them from freezing. Fit exposed pipes with foam rubber or fiberglass sleeves, and add insulation to walls and ceilings as needed to keep your pipes warm. Home energy costs become costly, but you can keep costs down by replacing your furnace air filter before winter to help the system run more efficiently. Clogged or damaged air filters force your heating system to run much harder, which can cause it to break down; in fact, replacing air filters is one of the best ways to prolong the life of your home’s HVAC system. Smart homeowners replace furnace air filters in fall because the demand is not high enough for them to drive prices upwards. As people turn on their heat and keep their windows closed in winter, they put their families at greater risk of house fires and carbon monoxide poisoning. Because heat is necessary during winter, you need to keep your family safe from the potential hazards of heating your home by checking your smoke and carbon monoxide detectors before the first deep freeze sets in. One smart way to keep on top of your detectors is to change the batteries when daylight savings time ends. When you make your clock fall back, install fresh batteries and test your detectors to ensure they are in working order. A few dollars for batteries and a few minutes of testing will give you peace of mind and help your alarms keep your family safe. 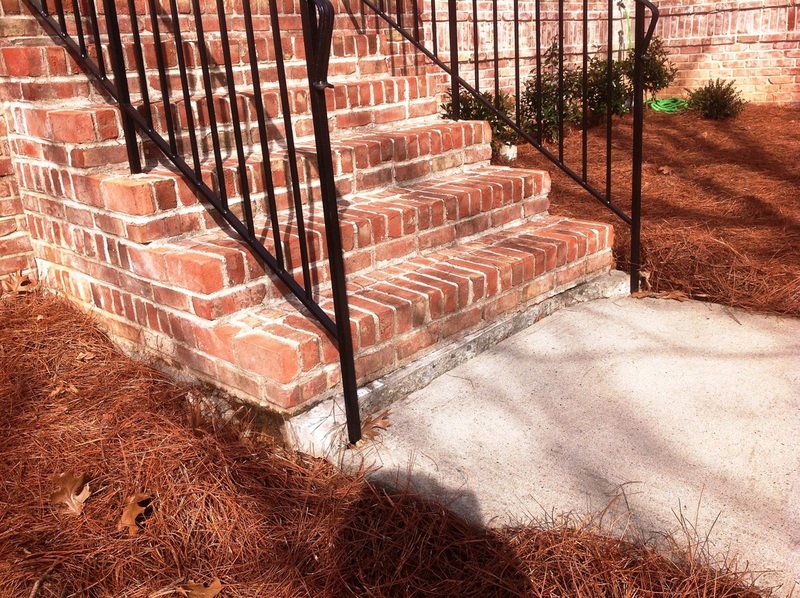 If you have noticed that you have sunken or uneven concrete in your driveway, sidewalk, patio, steps, or other areas around your home, you should contact a professional to correct the issue no later than autumn. You also should repair cracks of all sizes before winter approaches. Repairing concrete issues before winter is important because water works its way into the cracks, freezes, expands, and causes more damage to your concrete. You can attempt to repair hairline cracks your concrete sidewalks and driveways yourself this fall. Begin by removing debris from the area by spraying water into it and using a stiff broom or brush. Then, apply a concrete mix to the damaged area or plugging the rack with a premixed filler. If you use a premixed filler in a tube with a caulking gun, overfill the crack and scrape away excess. If you are uncomfortable repairing your concrete yourself, or if the cracks are in your foundation, you should contact a local professional to do the repairs for you before more damage occurs as the weather becomes cold. Being proactive with home maintenance this fall is the best way to avoid costly repairs. You should take steps to prevent frozen pipes, replace furnace air filters before winter, check your smoke and carbon monoxide detectors, and repair concrete around your home. 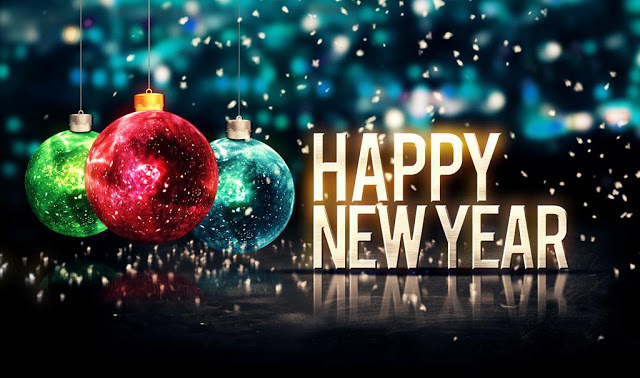 We want to ring in the New Year with great savings from Concrete Corrections. 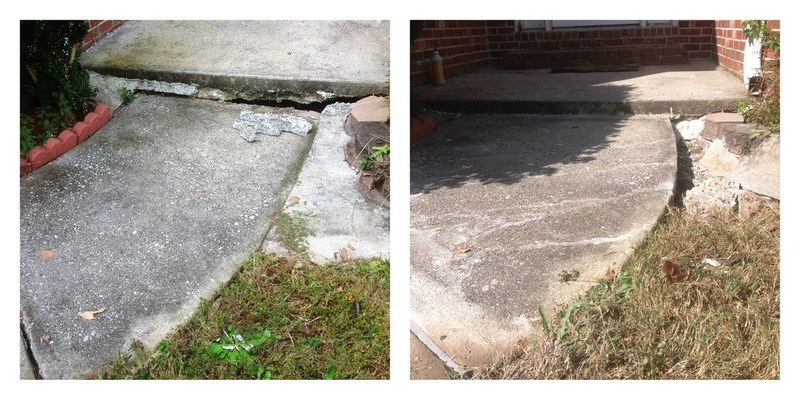 Do you have settled concrete or erosion problems around your home? Take $100 Off your next home project estimate! Please mention this ad during your free site visit. If a slab has cracked or has begun to sink, the issue will not eventually stop or fix itself, it WILL continue to get worse. And when problems get worse, the cost of fixing the issue increases. Today's homebuyer doesn't typically want to purchase a home with an unleveled driveway and front walkway, a stoop pulling away from the house, or floors that are cracked and sinking. First impression does make a difference in some cases. Also, be prepared for this to be a "bargaining chip" in the price offer. 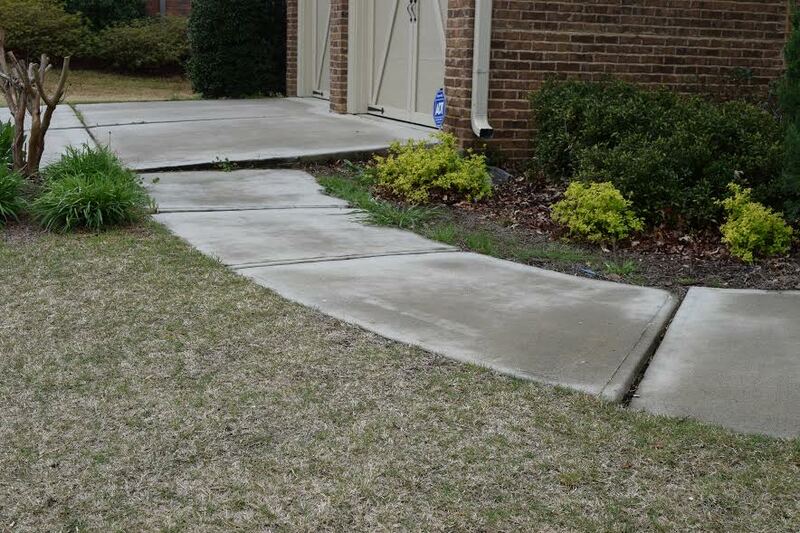 Concrete slabs with large voids or settled and uneven do not look safe. Settled or unlevel concrete is unsafe. As a homeowner or landlord, this is incredibly dangerous and open you up to unwanted liability. 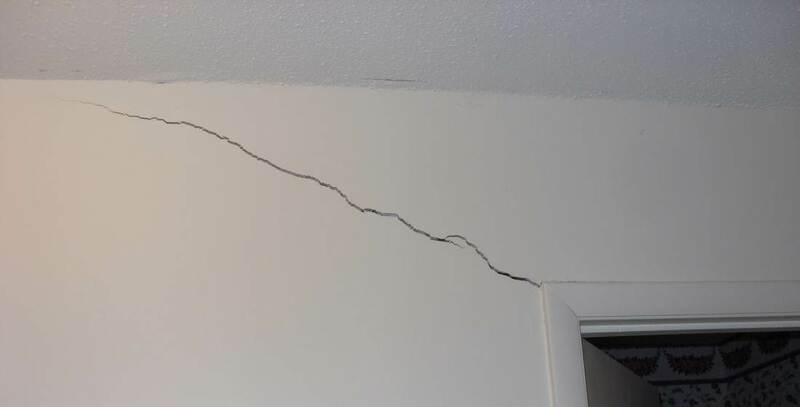 Cracks are exposed to the surrounding environment and when cracks let in water, damage can worsen. 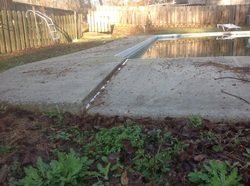 Unlevel concrete will encourage low spots where standing water will pool. 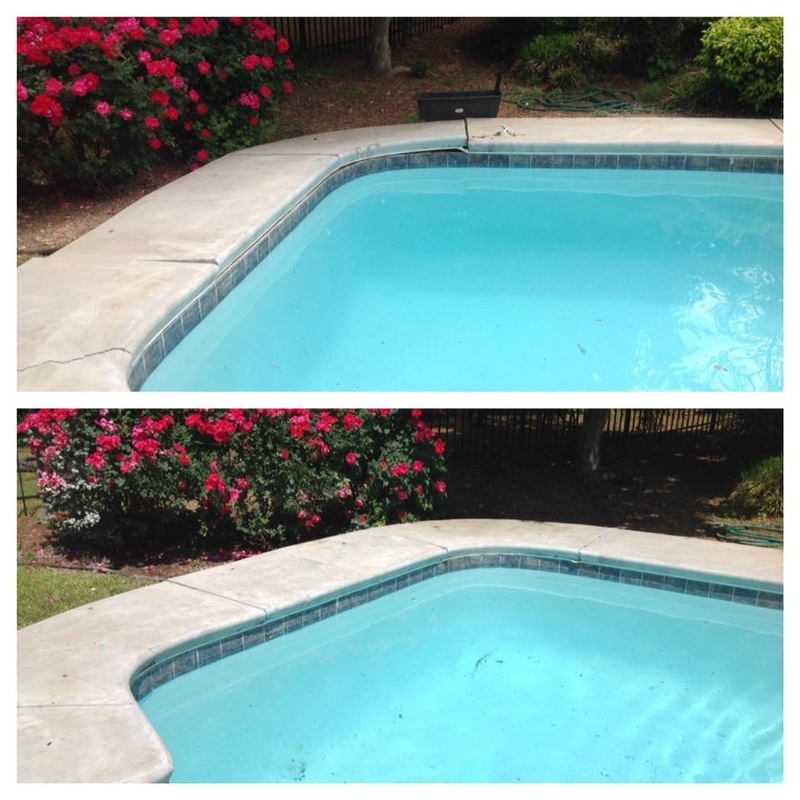 In cooler months, these pools can freeze, which causes more safety concerns and further damage. Shifting concrete on a ground level can affect the structures above the slab. As a result, doors and windows will start to stick and other structural damages throughout your home may occur. Load bearing walls should be watched closely. If the problem is left too long, cost of repair will increase significantly. Laying down pipelines has always been a back breaking job, but some pipeline companies are utilizing a technology that can ease the process along -- spray foam. ﻿Traditionally sand bags were stacked in the trench around a pipeline at about 50 foot intervals on inclined stretches. Used for erosion control, the sand bags for breakers would slow the flow of water down the trench. This now means pipeline companies are going to be spending less on labor as spray foam is a much more pain free solution to erosion control. Stacking the 30-50 pound sand bags around the pipelines has always been one of the most physically demanding jobs on the site. Laborers would have to stand in the bottom of the trench and position the heavy sandbags around the pipeline by hand. Spray foam is faster! With one or two workers, breakers can be installed in 15-20 minutes, an hour long job for crews with sand bags. 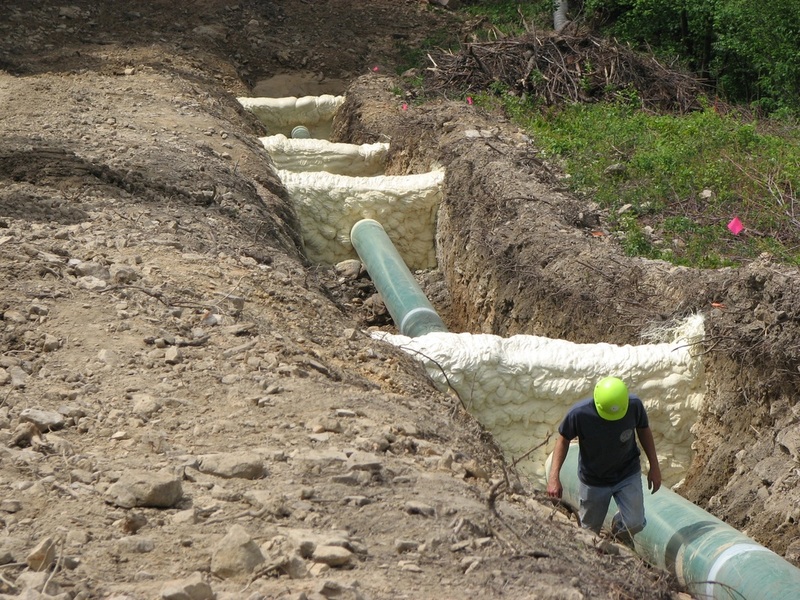 Using spray foam can be a cost saver for pipeline companies for that reason. In addition to decreasing expenditures for pipeline companies, spray foam is also a matter of being environmentally responsible. By adhering to the pipe and to the bank, spray foam is very efficient at erosion control and helps to prevent wash outs. Additionally, because of the rigidity of the foam and its adherent qualities, it is very effective at keeping the pipelines in place. Spray foam prevents the pipes form moving and causing an environmental disaster. Soil and concrete are constantly moving. When you have poor compaction and erosion involved, things REALLY move. 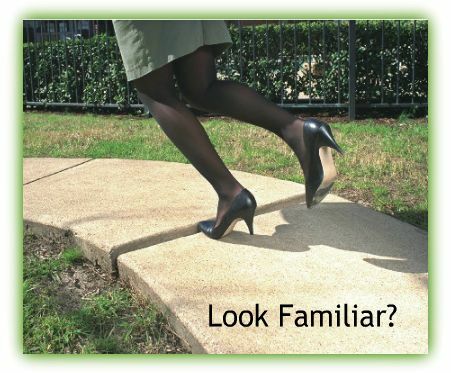 Sidewalk slabs are forever shifting and one of the quick and inexpensive "fixes" is to grind the concrete down to level. One of the problems is that grinding leaves unsightly marks on the finished surface, which some people don't necessarily mind. But for those that have decorative finishes on driveways and pool decking, this is a serious concern that they should know about ahead of time. The real concern here is that the REASON the concrete settled in the first place. Most likely poor compaction or erosion has affected this area, causing slab movement. When grinding the slab, you are essentially shaving off the top side to make level for walking. Nothing is done to stabilize the soil beneath the slab, and so there is a very good chance for resettlement in the future. Especially since water has now found it's way past the walkway or path of least resistance. 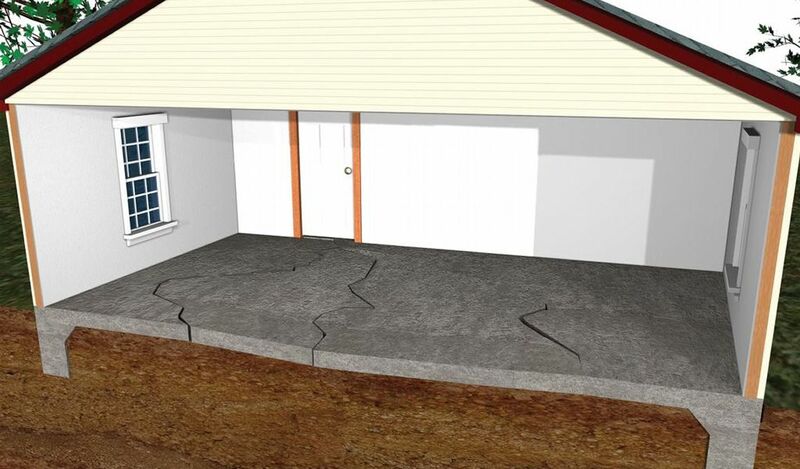 By injecting structural grade polyurethane material below the slab and lifting the slab back toward original position, you've now pushed down (or compacted) the compromised soil, void filled where soil has been eroded out, and lifted the slab back up. From the top, the sidewalk looks like it did years ago, the colors all match and the slabs are fully supported. 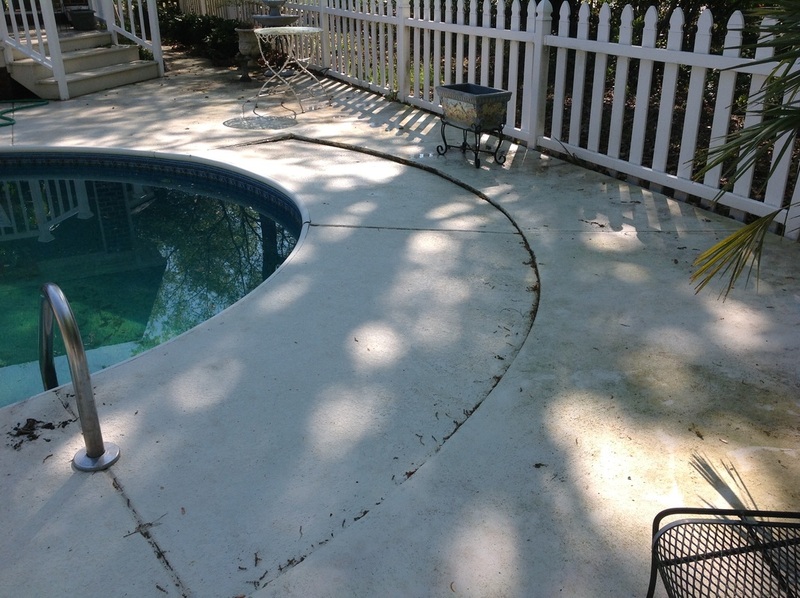 Believe it or not, lifting and leveling sunken concrete pricing is very cost effective. We always suggest that homeowners look at all of their options before making a decision. Compare the pros & cons, pricing and estimated time the fix will last. 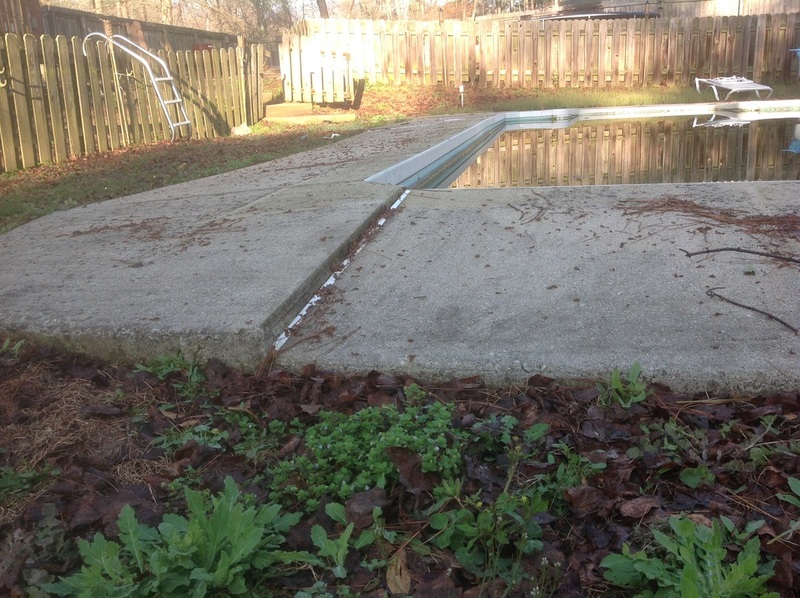 Sunken Concrete: Repair Or Replace? 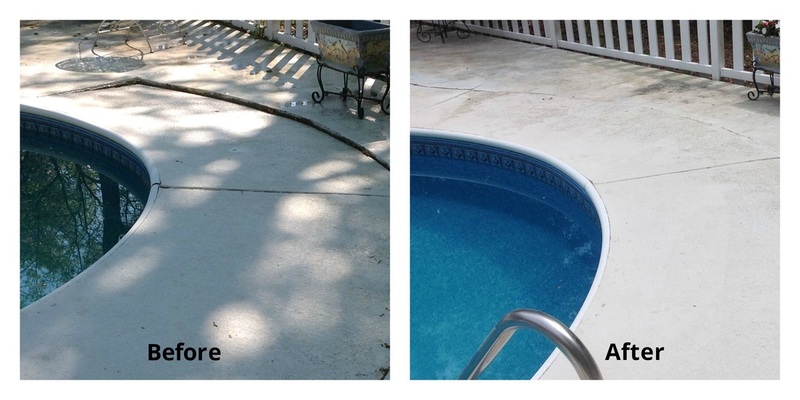 A sunken concrete slab whether a sidewalk, driveway, pool deck or patio, will eventually need a concrete repair or replacement. The decision will often come down to the cost, benefits and capability. If caught early, most concrete slabs, in descent condition, can be lifted back toward original position quickly and cost effectively. You may find yourself without the repair option. 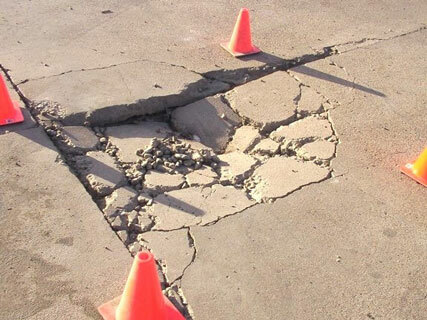 If your sunken concrete has become severely cracked you may not be able to repair it, since repairing will most likely involve raising it. 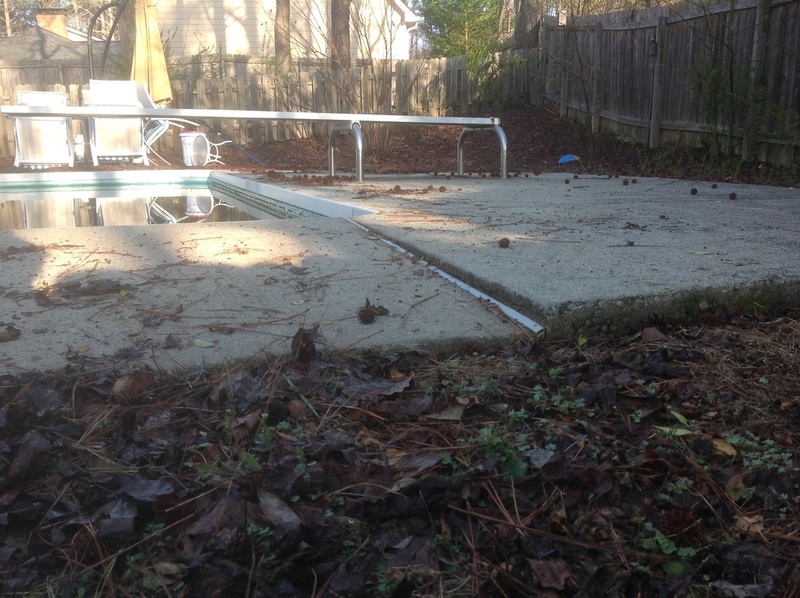 Raising a severely cracked or broken concrete slab may not be possible. Neither would it be practical to raise a slab with portions of the slab that may separate when raised. 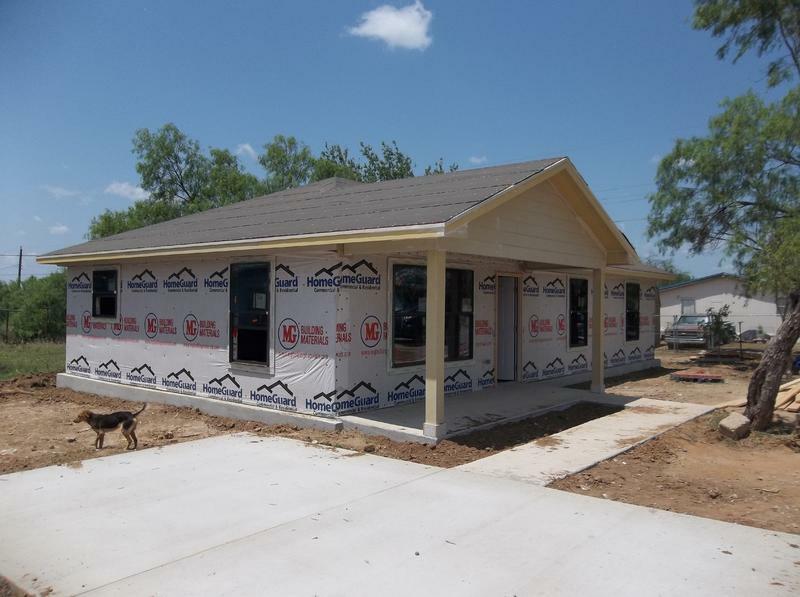 To decide whether or not to raise your concrete slab you'll need to determine if it is in a single, solid piece that will likely not fracture when raised. This concrete can be lifted. This concrete needs to be replaced. 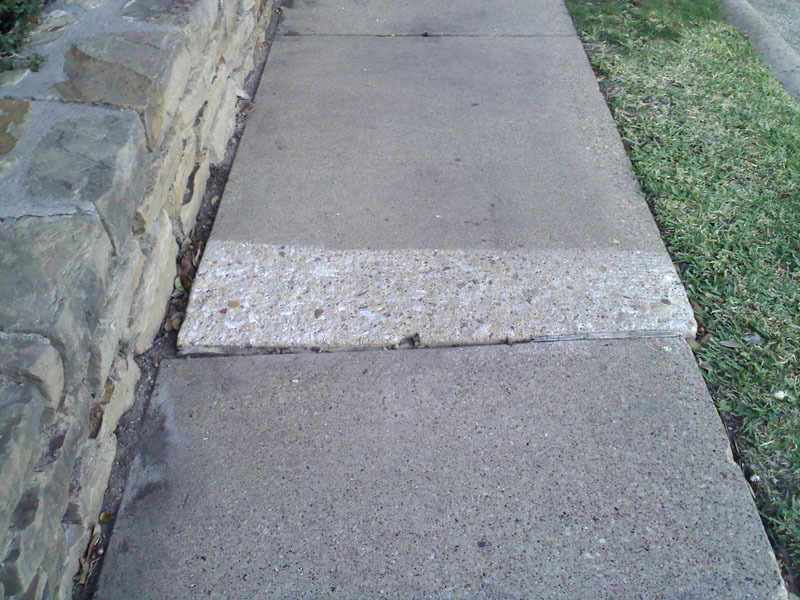 Before & After of Sidewalk Lift, no need for replacement. 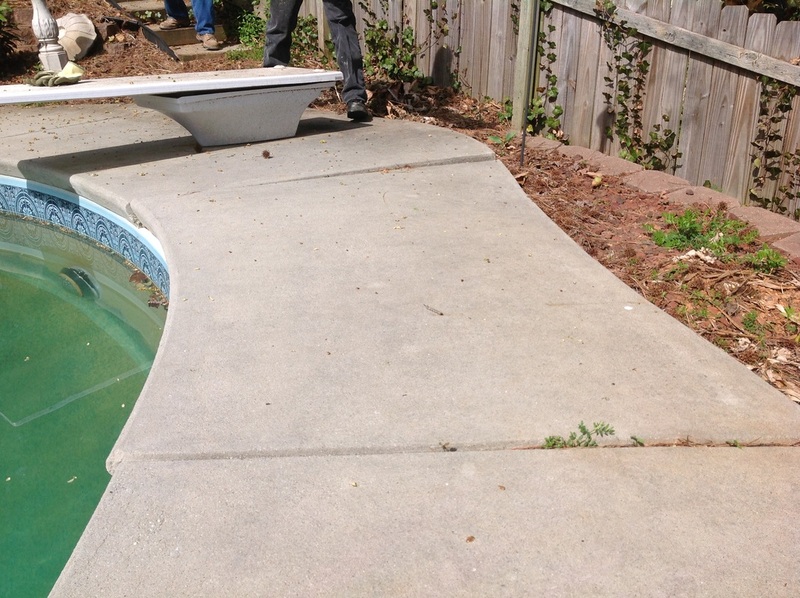 Planning to replace your sunken concrete, yourself? If so, keep in mind that you'll need to not only pour a new slab, including building a form and finishing the new concrete, you'll need to remove the old concrete. This means breaking it up and hauling it away. Another point to remember is, WHY did the settlement occur in the first place? When replacing concrete, it is important to make sure the soil base is solid. Otherwise, your newly poured concrete may move and settle again in the near future. 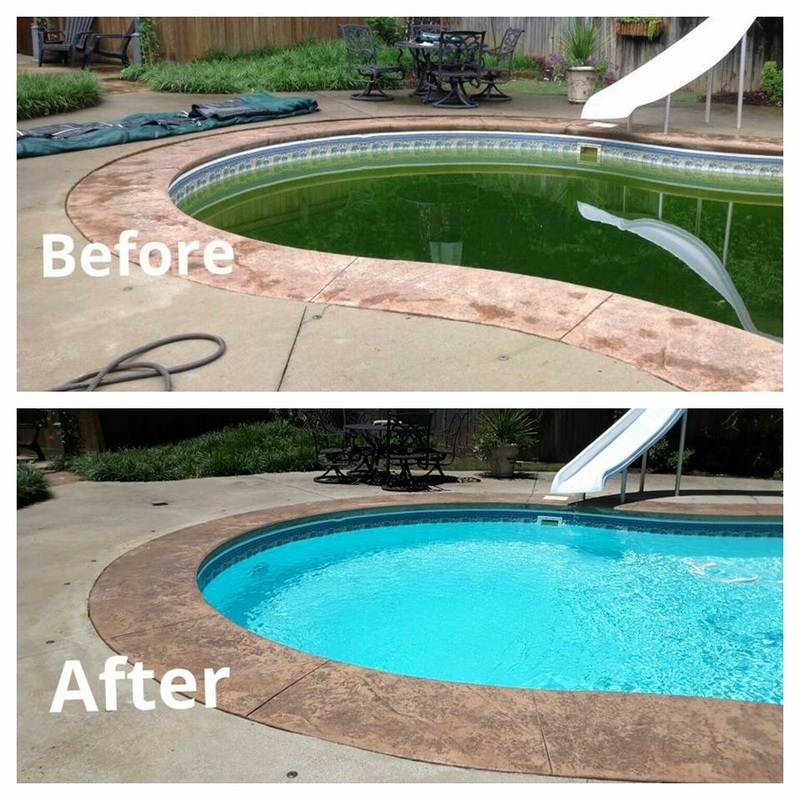 If you're like most in-ground pool owners your concrete pool deck has settled in one or more places causing trip hazards and unsightly conditions. You may have considered having it torn out and replaced but have been holding off due to the expense and inconveniences associated with doing so. 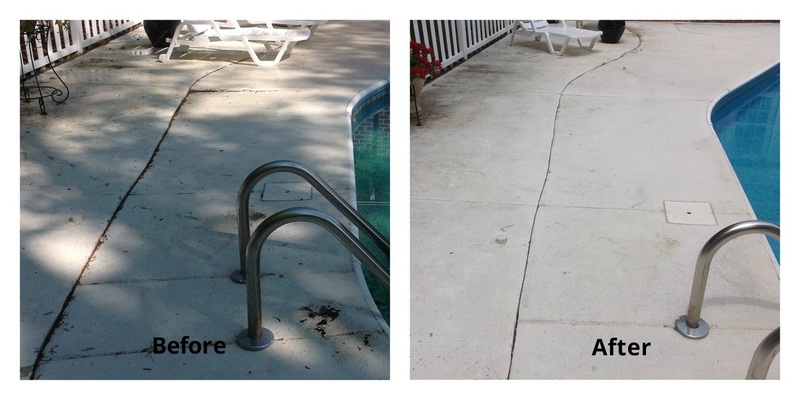 With the use of structural grade Polyurethane Foam, we are capable of lifting and leveling settled concrete slabs around pool decks with very minimal disruptions and typically for 1/2 the cost of replacement. Why Has My Concrete Settled? How Can I Tell If I Have Issues? When the concrete begins to settle you will be able to see signs such as cracks in the slabs, puddling water, trip hazards between sections and/or excessive sloping from and separation at the pool coping. Signs may occur within months or take years to develop but the sooner you identify them, and stabilize the soil, the less damage there will be to the concrete and your pool. With Concrete Corrections, you have a cost effective alternative and a less disruptive solution to repairing your settled concrete. 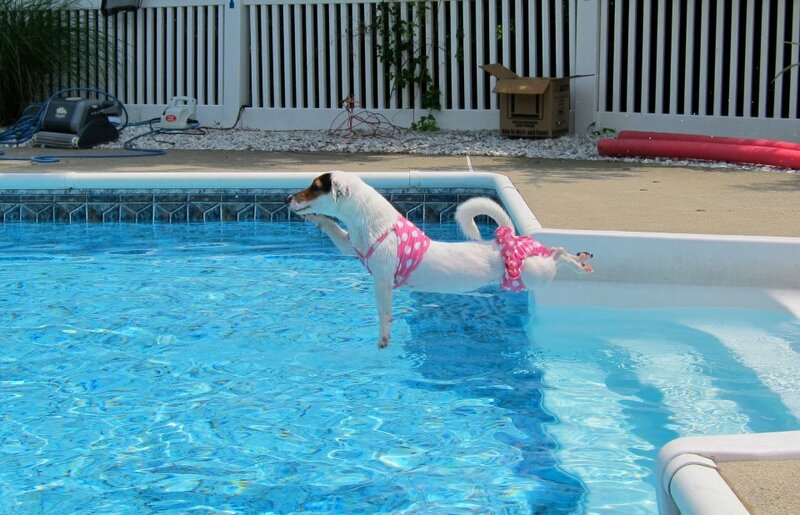 Often times, pool deck projects can be completed in 1 day and the areas are cured and ready to use immediately. So, you're under a time crunch with selling your home or planning that Labor Day Party, we can work with you on a timely schedule. 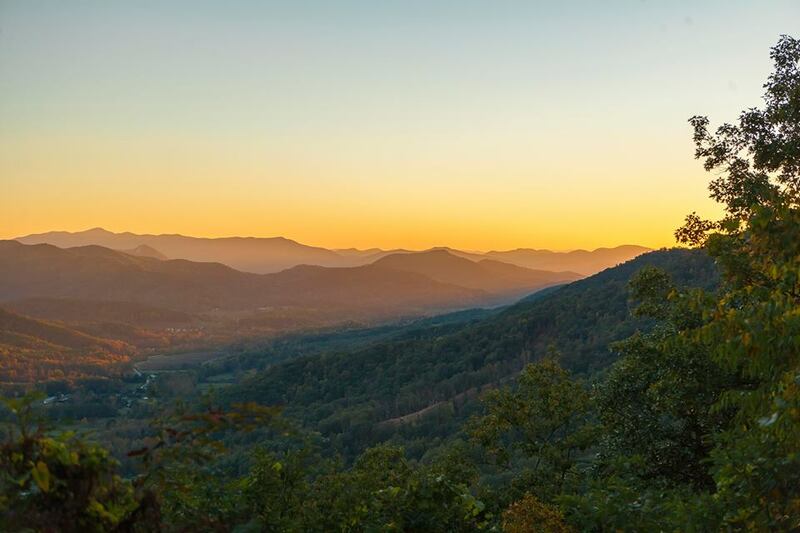 So, yesterday after seeing our mountain neighbors having some trees cut, for better views off their back deck, we were inspired to discuss: The Effects Of Cutting Trees & Erosion. How trees stabilize soil and prevent erosion, particularly on slopes. 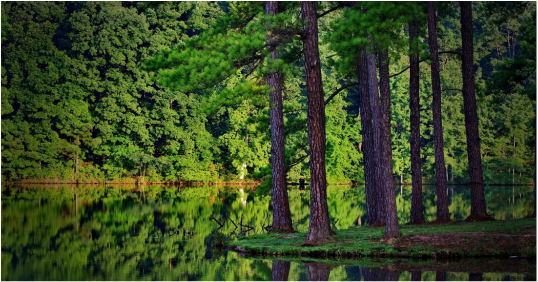 How your concrete walkways, pool decks and driveways, EVERYTHING around your house, is effected by erosion and cutting all the trees away from your house, indeed has an impact. Even just ONE tree. We thought, well maybe they could've just cut some of the branches off or topped the tree (to make it shorter) and see over it, in an effort not to kill it completely. And did they plant any trees anywhere else, to replace the ones that were cut? Obviously there are "problem trees" out there that need to be addressed (disease, locations, etc), and in an effort to not get too personally involved we will stop there, but we found some interesting reading out there. So take a look and maybe take 1 or 2 things away from this today.